If you are serious about being a writer, and having your work published, then it’s important not to ignore the rules of good grammar, punctuation and spelling. It’s estimated that up to 95% of manuscripts and submissions received by editors are badly formatted and riddled with errors, not just in the basic style elements but in fluency, voice and word choice. Generally, editors flush out this flotsam by reading the first paragraph of your submission. If there are errors or inconsistencies in evidence, your work will undoubtedly be relegated to the slush pile before paragraph two. Editors are busy people and they have a low tolerance for those writers who fail to engage a reader right from the opening lines. a list of 57 words often misspelled. This was the reference by which all writers composed and crafted their work, but it dealt mostly with the mechanics of writing. 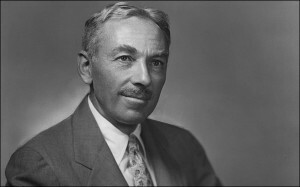 In 1959, the publication was greatly enlarged and revised by E.B.White, and renamed Strunk & White. White’s contribution to the manual dealt more with presentation, voice and the writer’s mantra, ‘show, don’t tell’. Author of celebrated children’s classics like Charlotte’s Web and Stuart Little. 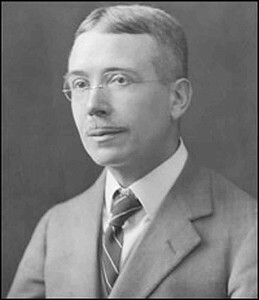 Former student of William Strunk Jr. Sentence fluency concerns the flow and rhythm of phrases and sentences. It’s the way you can identify an individual writer’s flair for composition. Just as music contains different note lengths, bars, pitches and timing, a good writer uses a variety of sentences with different lengths and rhythms to achieve different effects. Rearrange sentences until they fit your rhythm. Polysyllabic words, alliteration, and consonance can be used to create sentences that roll off the tongue. Onomatopoeia and short, staccato words can be used to break up the rhythm of a sentence. Voice is an essential element of style that reveals the writer’s personality, as well as setting the tone for the book. Hand-in-hand with POV (Point Of View), a writer’s voice can be aloof, chatty, reflective, authoritative, objective, passionate, serious or funny. If you can maintain this ‘voice’ throughout your entire manuscript, your readers could very well mark you as their next ‘favourite author’. Jane Austen for example whose classic novels showed her uniquely feminine sense of humour in a time when female authors were largely unheard of. I believe that it is not Stephen King’s dark voice that makes him so popular, but his ability to chat to the reader, all nice and friendly like; distracting us into believing he’s an okay guy, while he sneaks around behind and shoves us into the boot of his car and drives off. The last thing we hear…is that voice. Most importantly, it is the words we use as writers to fill the fluent sentences, to create the voice that makes our mark as a writer.Writers need to choose their words carefully, delete redundancies, make vague words more specific. Use subordinate clauses and phrases to reshuffle ideas for the greatest effect. Good writers are concise and precise, and while weeding out unnecessary words is largely part of the editing process, it’s good practice to get into the habit of taking time to find the exact words to convey meaning. Always use active verbs, concrete nouns, specific adjectives to help the reader visualize the sentence. Good writers use adjectives sparingly and adverbs rarely, allowing nouns and verbs do the work. As Stephen King once wrote, ‘The road to hell is paved with adverbs’.